When your home is represented by Lenihan Sotheby’s International Realty, it is presented to a highly qualified global clientele through exclusive channels and relationships. This puts your home on a global stage enabling millions of viewers to immerse themselves in our collection of 3D tours, HD videography and high-resolution photography. This content rich experience is more effective in driving prospective buyers to lsir.com and engaging them once they arrive. To measure the results, we provide you with a weekly report that includes viewing statistics for each media partnerís website. 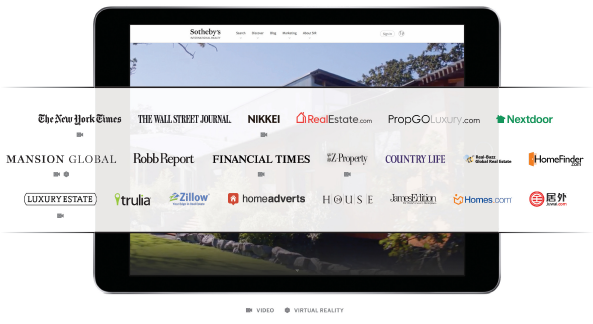 Collectively, Sotheby’s International Realty properties are viewed an astounding 90,000,000+ times across all of our partner sites annually.